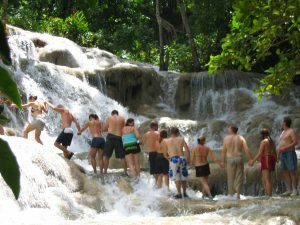 Dunn’s River Falls is one of Jamaica’s national treasures. Globally, it is as well-known as Reggae and equally stimulating. There are few places where the Arawak name “Xayamaca” – land of rivers and springs – is more apt. 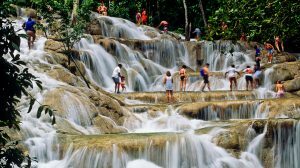 The Spaniards called the area “Las Chorreras” – the waterfalls or springs – and it is truly one of the most beautiful spots on the island. 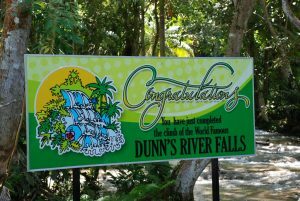 A stone’s throw from Ocho Rios, one of Jamaica’s fastest growing resort centres, Dunn’s River Falls is unique.